CPEC is the flagship project of BRI and Gwadar is the cornerstone of CPEC. Last time when I flew to Gwadar from Islamabad, it took me 14 hours, including an overnight stopover at Karachi. The turbulent landing of the turboprop ATR at the unassuming Gwadar Airport seemed to mock the tall ambitions for the city. This, however, is set to change with Chinese help. The new $230 million Gwadar International Airport is expected to be operational in three years, allowing much larger aircraft to operate on domestic and international routes and bringing the much-needed connectivity to this once-modest fishing town, now assuming a new identity under the China Pakistan Economic Corridor (CPEC). The whole Belt and Road Initiative (BRI) is built around the premise of improving connectivity, paving the way for investment, and trade and economic growth. CPEC is the flagship project of BRI and Gwadar is the cornerstone of CPEC. No wonder that the city has witnessed generous Chinese investments to improve its connectivity. But is connectivity enough to change the future of Gwadar? Let’s first envision that if Gwadar were to become a success, how it would look like in 20 years. Ideally it would be a bustling port, with millions of tons of goods passing through it every year. Hundreds of Chinese companies would be managing flow of goods to and from western China to the Middle East and North Africa. The free trade zone would be home to scores of Pakistan-China joint ventures exporting goods to the world, alongside global conglomerates eyeing the mammoth Chinese market next door. Gwadar would be the economic hub for Balochistan, bolstering movement of goods and people from across the province and beyond, and ushering in a new era of prosperity for this hitherto-ignored region. But connectivity alone cannot make this happen. There are two other pieces of this puzzle that must be addressed: building a safe and modern city with top-notch civic amenities and a robust commercial centre with investment-friendly regulations and institutions. may disrupt their decades-old businesses, while most of the skilled jobs in the port area have gone to people from Karachi and other areas, owing to poor skill-base of the local population. Leaving the Chinese investments aside, the rest of the city appears to be no different from any other small town of Pakistan. It seems to be an unequal partnership between China and Pakistan, where the latter doesn’t seem prepared to play its part. While the Chinese can bring in financing, technology and experience and build state-of-the-art infrastructure, they surely can’t fix the underlying economic and governance systems and that is something where Pakistan government is failing. If we expect Gwadar’s future to be any different from the rest of the ill-managed urban centers of Pakistan, we need a different approach. Traditional government agencies like Gwadar Development Authority are not going to work. We need a new model, similar to charter cities, where the city management is governed by special laws through qualified experts. And this model should be duly supported by adequate resources, fully reflected in the provincial and national development plans, not only for the city’s development on modern grounds but also to plug the local population into its promised development. 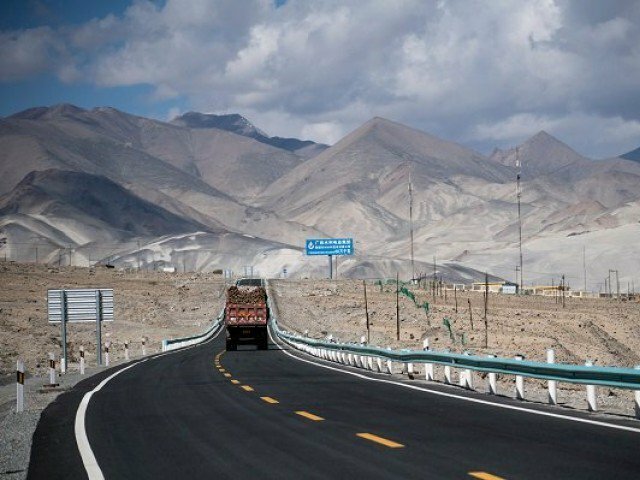 While Prime Minister Imran Khan has performed the groundbreaking of the new airport and has approved the dualisation of Kuchlak-Zhob section of the western CPEC route, what remains to be seen is if the government is ready to really transform Gwadar into a vibrant city and a robust commercial hub. And this will require far more than mere brick-and-mortar projects. Published in The Express Tribune, April 2nd, 2019.